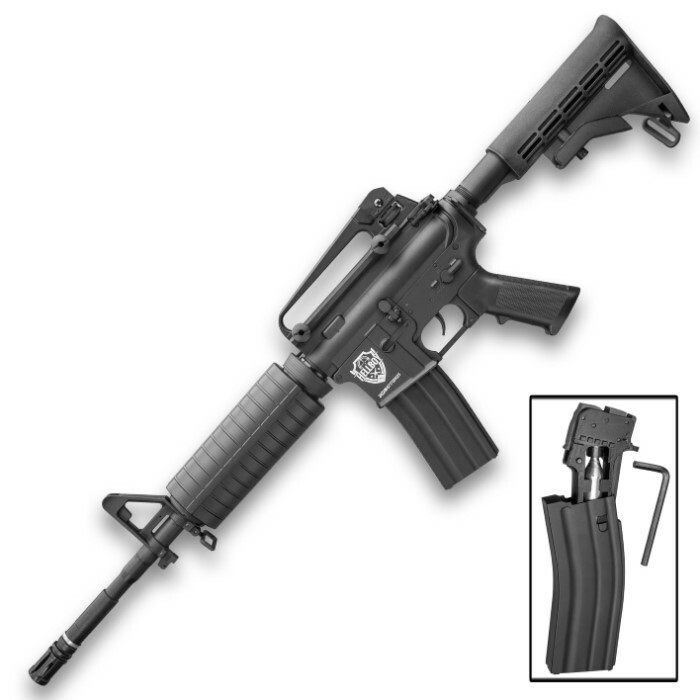 HellBoy M4 CO2 Air Rifle - Semi-Automatic, Full-Metal Construction, Field-Strippable, 18-Round Magazine, Adjustable Stock | BUDK.com - Knives & Swords At The Lowest Prices! 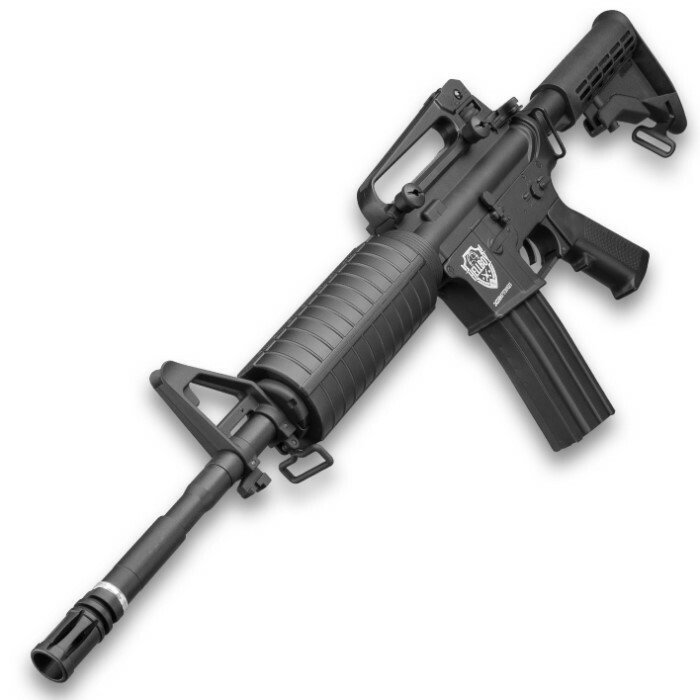 Based on the ultimate warfighter rifle, the M4 Carbine, The HellBoy Air Rifle will incinerate targets with blistering semi-auto shots and a real-steel feel, fueled by a single CO2 cartridge. 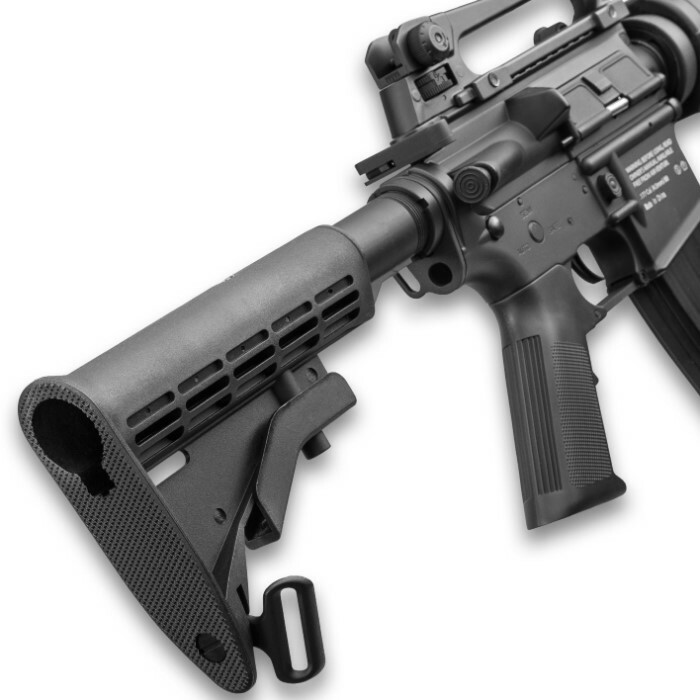 Able to send .177 steel BBs downrange at more than 495 fps, the air rifle features full-metal construction throughout the barrel, receiver, and the 18-round BB magazine. 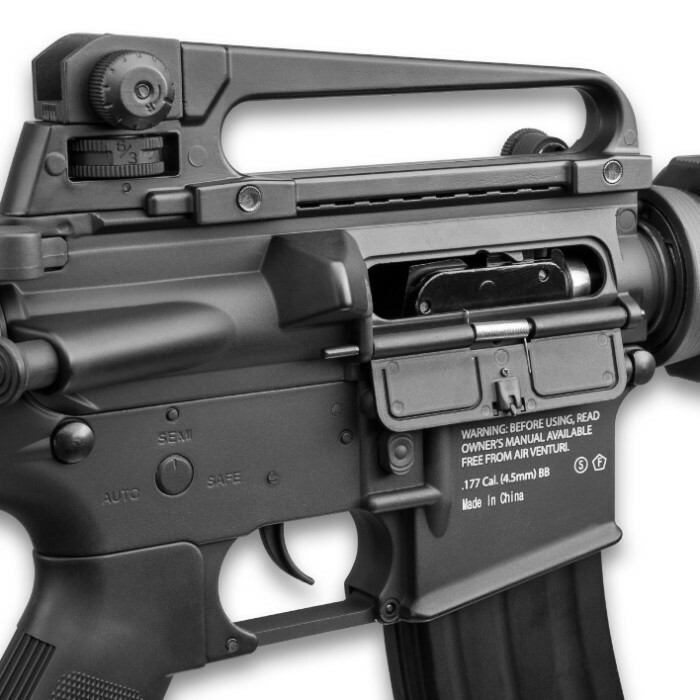 Use the included open flip-up sights or remove the rear sights to expose a 5 1/2” Weaver/Picatinny rail. Each of these airguns is field-strippable just like a real M4, and each includes integrated swivel studs for easy carrying options. 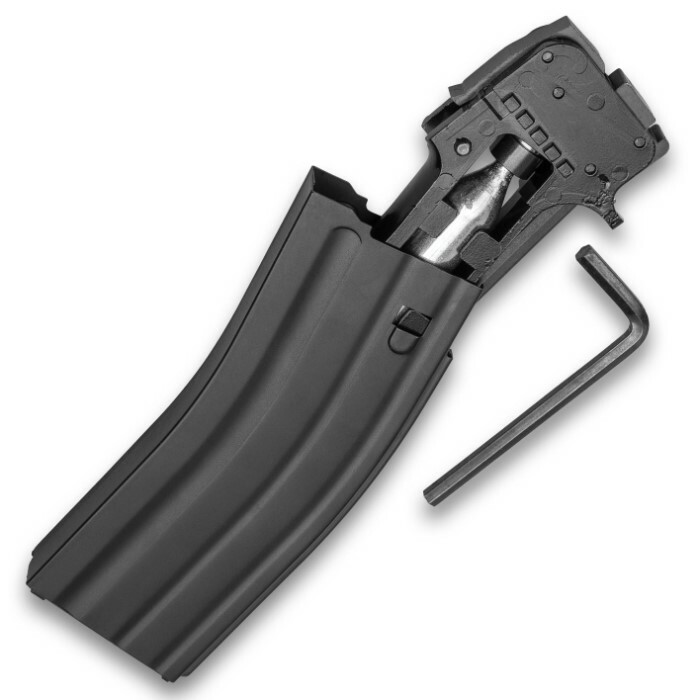 The adjustable rear stock can be set to your preferred pull with a press of a button. You’ll love shooting this monster! I've not used it yet. It looks great to me, an old Vietnam Vet. I'm sure my grandson and I will have a lot of fun with it. I'll pick up some hay bails and set up a range in my backyard.